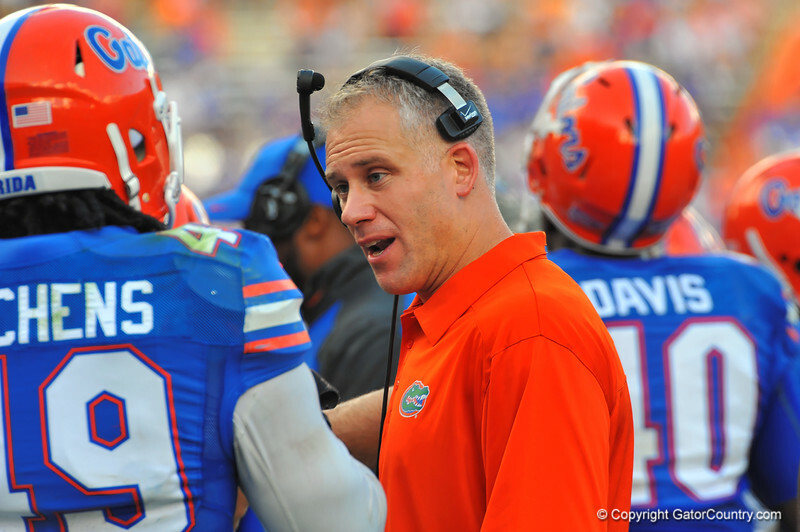 Florida Gator defensive coordinator DJ Durkin talks with LB Darrin Kitchens after the Georgia Southern touchdown. Florida Gators vs Georgia Southern Eagles. Gainesville, FL. November 23, 2013.